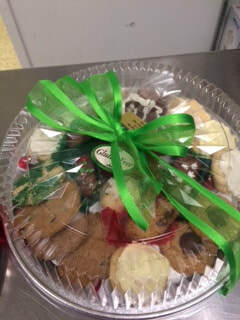 Our cookie trays consist of 14 mixed Gluten-Free cookies and bar cookies arranged and decorated for Christmas! If ordered ahead of time, they can be customized to your liking! Or stop in the store and select an already-made up tray! Also be sure to check us out on the Laurel Highlands Visitor Bureau site for other coupons and money-saving deals! Click Here.